To install JustUno on your site, please visit this link, which has several guides on how to integrate with JustUno depending on your eCommerce setup. If you’ve installed the JustUno app through Magento, Google Tag Manager or Wordpress, you will NOT have to manually add JustUno’s Embedded Code in your website’s footer. The code has automatically been added to your site. To collect information from your customers and send that data to Rejoiner we’ll have to do a couple of things. The very first thing is to authenticate your JustUno app with Rejoiner so they can communicate. To start, we need to make sure that your site is using our v4 integration. 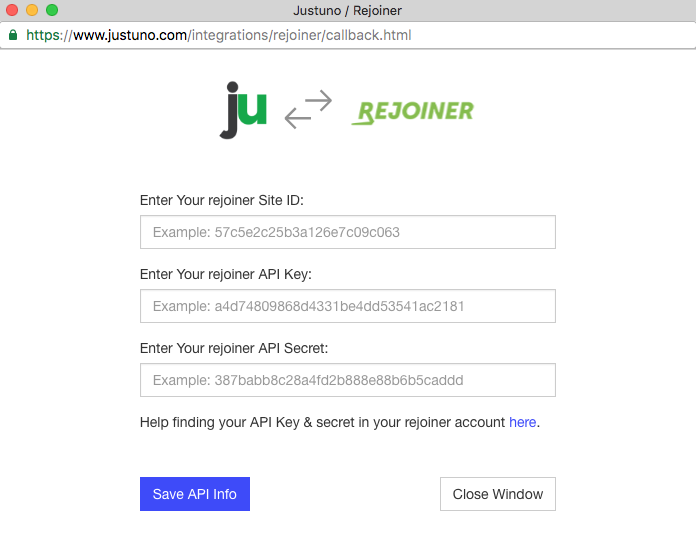 If you are, Rejoiner will automatically connect to your JustUno app. If you're not using our V4 integration, you will need to update your implementation. You can use JustUno and Rejoiner in several ways. 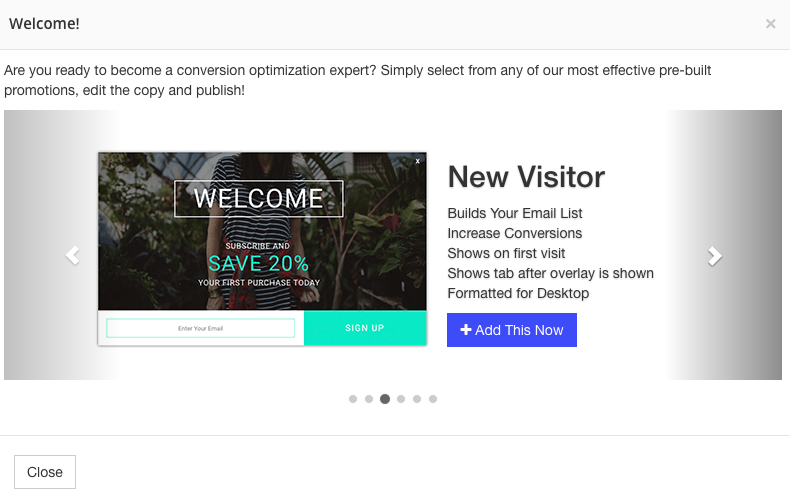 One of the most common use cases is to capture a customer’s email address with an exit-intent popup. This popup would show up on your store’s cart page and (for example) offer a discount for users who subscribe to your newsletter. When a customer adds their email address via your JustUno exit-intent popup, JustUno will capture the email address for us. This will allow us to capture the customer’s email and remarket to them. Now, let’s say that you want to welcome this subscriber into your Newsletters by sending them an email campaign. Here’s where Rejoiner + JustUno becomes powerful. If you’re running a Welcome Series campaign though Rejoiner, you would simply have to attach your JustUno popup to a Rejoiner List. A modal window will appear. You’ll want to name your new list at this point. Tip: You may want to include the words JustUno to the list’s name in order to describe and define your list’s purpose. Click on “Save List” to continue. This will create your list, which you should be able to see in your account. That’s it! You’ve created your list. To create a Rejoiner campaign that would o create a promotion in order to capture email data from your site using JustUno. 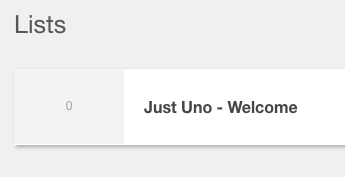 In your JustUno dashboard, click on the Promotions link at the top left corner. 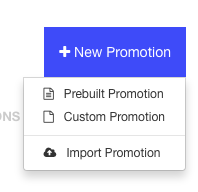 To continue, click on the “Prebuilt Promotion” option. You should see a modal window appear. You will then be redirected to JustUno’s Design Canvas. Here you’ll want to design the modal, but as this is just an example we will leave the template we choose as is. To connect the popup to a list you’ll want to select the email input in your popup. A modal will appear, you’ll want to select the Rejoiner option. If this is the 1st time you are using Rejoiner and JustUno together, a modal window will appear for you to connect these together. You will need to enter the information required, which you can access via your Rejoiner account’s Implementation tab. Click on “Save API Info” to connect JustUno to Rejoiner. Since Rejoiner is connected to your Rejoiner account, a new modal with List information will appear. This modal contains all the Lists from your Rejoiner account. Hit “Select” in order to connect your list to the popup. 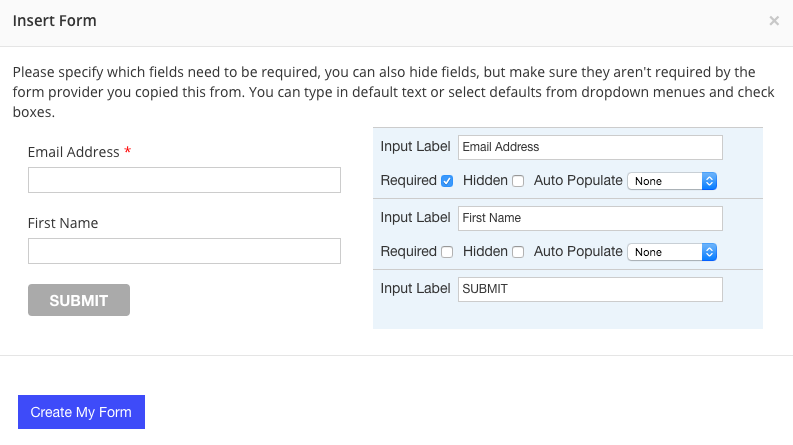 You will then see some preference options on the “Insert Form” modal. Next, it’s important that you make the email input required. Any other field requirements are optional. Your popup may need some re-configuring design wise, as JustUno will be inserting a new Rejoiner form. Since you’re already connected to Rejoiner, at this point, all you’ll need to do is publish your popup. 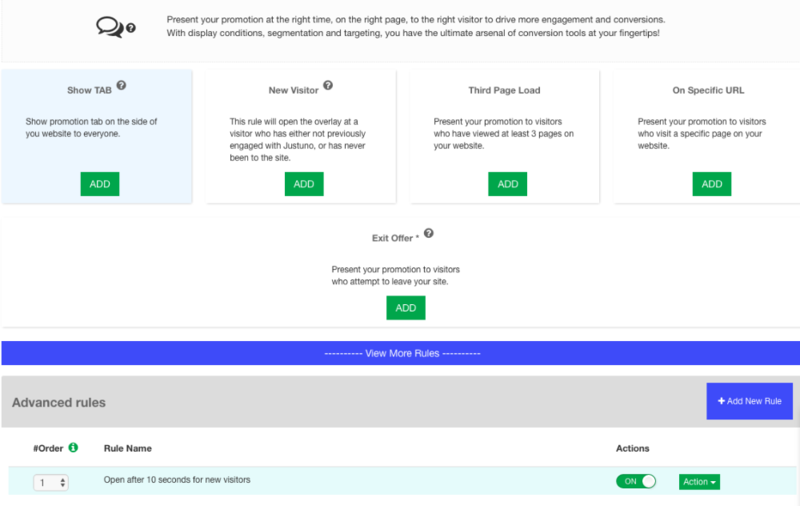 If you return to your promotions tab, you should see your Promotion live on your site. 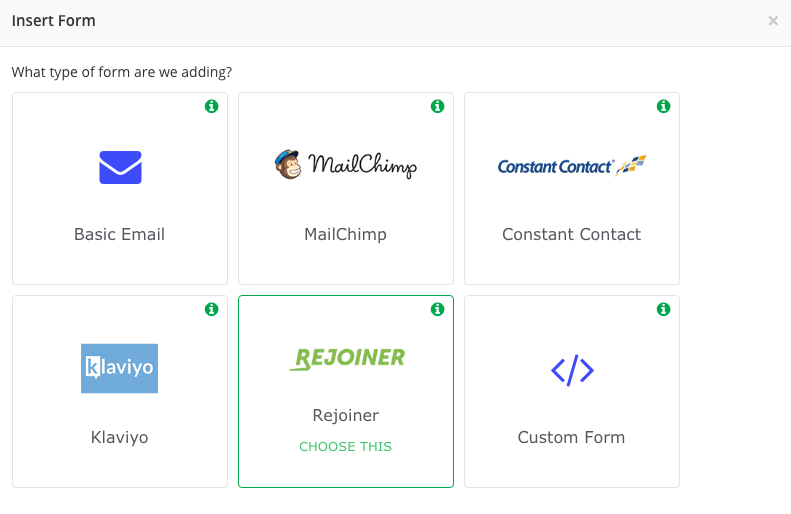 To test your popup’s connection to Rejoiner, you’ll simply have to go to your website and interact with the popup you created. 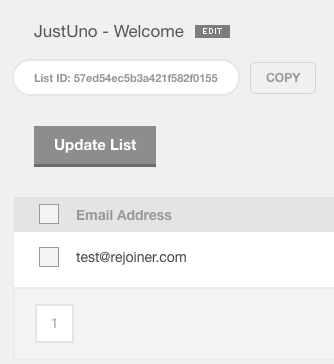 Then you will see your test email added to your JustUno list in Rejoiner. 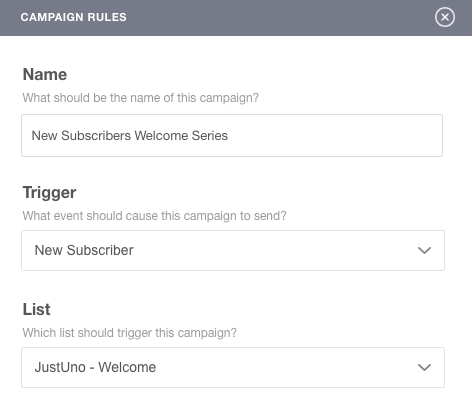 In order for your popup to trigger your New Subscriber Series, you’ll need to make sure that you’ve selected your JustUno Rejoiner List in your Campaign’s Settings.